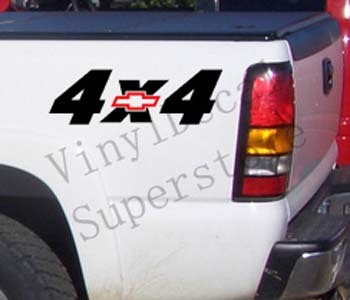 These Exclusive Custom Design Decals are approx. 4.25" tall by 17" long. You get a pair of decals. as pictured, or you can customize your truck with any STANDARD colors we have!